HomePhilippinesMetro ManilaDecoration & LightingEye Candy Manila Event Styling Co.
See You At Midnight. 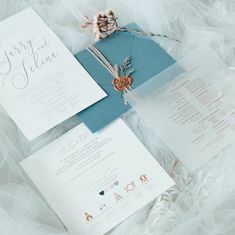 Navy Blue And Silver Romance. One of the BEST suppliers we've worked with! Delivered ABOVE AND BEYOND! 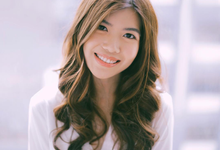 May was the first person who made me cry on my wedding day! She made me cry HAPPY TEARS when I saw my bridal bouquet! May and Lloyd were a joy to work with. My then fiancée (now my husband) and I always looked forward to meeting them because they are such a pleasant, sweet and professional people! I felt they were more than just our wedding suppliers- they instantly became our friends! 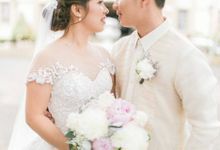 On the day of our wedding, I was floored with their professionalism and output! VERY WELL DONE! I couldn't ask for more- everything was so elegant and so beautiful! They went above and beyond of what was expected from them. 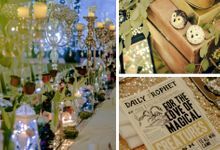 Our mood boards and plans all came to life and it was so much more than what we envisioned! 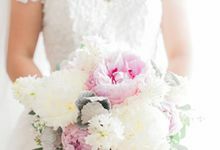 My family and guests can't stop raving how beautiful the flowers and styling was at my wedding! 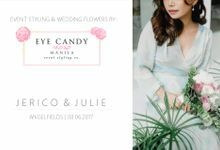 Eye Candy is definitely one of my most favorite wedding suppliers! I would love to work with them again...on our renewal of vows! :) Thank you, May and Lloyd, for being a blessing to Echo and I! May your business continue to thrive because you are so good in what you do! God bless you both! My husband and I are so glad we found out abut Eyecandy Manila! 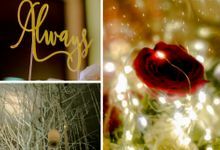 Every penny paid is worth it :) No regrets; everyone loved the setup and our families were mesmerized :) For our wedding, we wanted to highlight our styling thus picking our stylist was really crucial. 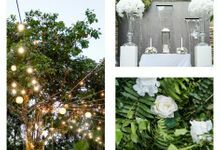 We picked a beautiful outdoor garden and we wanted something just simple, clean and fresh, pure green and white. 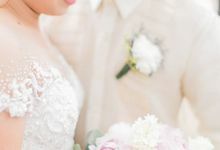 Eyecandy Manila sure knows how to listen well and care for their client, May and Lloyd were really patient with us, listening to all we want and wouldn't want for the big day. They were really considerate and they respected our vision. 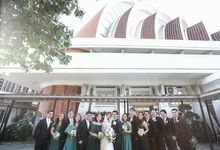 On the day of the wedding they were very on time, they worked fast and they completed everything at par to our expectation! 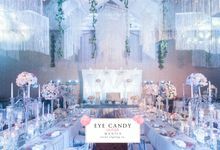 :) Eyecandy Manila proves that you don't need to spend extravagantly to have a beautiful wedding styling. 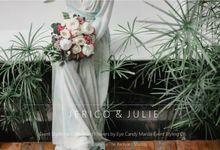 If you're looking for a professional, humble, and visionary wedding stylist, Eyecandy Manila is surely worth it! 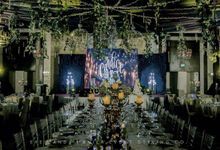 Throughout the process of planning our desired theme with Eye Candy Manila, we felt at ease and comfortable working with them. They were very professional yet pleasing and easy to work with. Oliver and I really wanted a tunnel entrance at our reception and they've never done something like that in their past projects. They accepted the challenge and the result was amazing. On the day of the event, they were able to execute our vision into reality. At a reasonable rate, Eye Candy Manila exceeded our expectations. The dreamy, ethereal and elegant style we were going for was achieved! The flowers used were very beautiful too! As a whole, we are very satisfied! 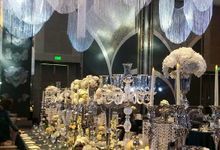 That's how we describe Eye Candy Manila's floral designs on our wedding last February 2016. 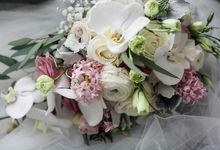 Fresh flowers, one-of-a-kind designs, not to mention their excellent service. 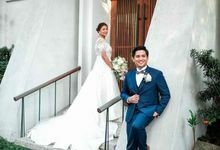 They will deliver the best to make your wedding as perfect as you want it to be. 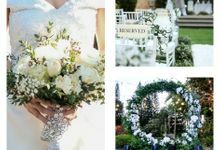 You don't need to spend much on a wedding florist, you just need to find the perfect floral supplier. With us, we found it. And that's Eye Candy Manila. Eyecandy Manila was wonderul! They made our wedding fit our personality with their design. They listened and executed all our requests beautifully and within our budget. They exceeded our expectations and we are forever grateful! 20% for date reservation/down payment; 50% of contract rate should be settled 3 mos. prior to event date. Remaining balance 2 weeks prior to event date. Yes We deliver the bridal bouquet and entourage flowers to your prep venue/hotel; time of delivery will be specified by your coordinator. We make the floral arrangements on the day of the wedding. Proper floral care and treatment are applied to the wedding flowers to ensure its long lasting freshness throughout the wedding day. 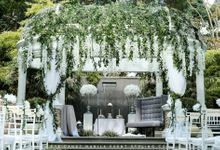 Welcome to our creative world of event styling and floral design! 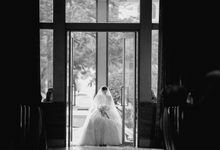 It is our ardent commitment to share our passion for what we do and to turn our clients’ wedding dreams to reality. We highly value our clients’ trust, time and resources. 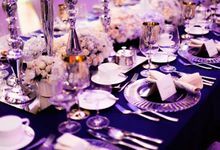 We take time to know their vision & preferences— and we take these to heart and translate these to elegant and meticulously-made floral design and event styling. We are crazy in love with making weddings more beautiful and we would love to share this with you!